Manchester United have told Mino Raiola that they have no intention of selling Paul Pogba. The talented midfielder has been linked with his ‘dream’ summer transfer to Real Madrid, with recently-returned gaffer Zinedine Zidane eager to sign his fellow compatriot up. The Galacticos are expected to spend heavily in the upcoming window to revamp their entire squad, and Pogba is believed to be right on top of their wishlist. However, Manchester United have now revealed that they have absolutely no intention of letting their talismanic number 6 leave at the end of the season. According to Spanish outlet Marca, Pogba’s agent, Mino Raiola, recently met with the Red Devils’ chiefs in order to discuss the 26-year-old superstar’s future at the club. 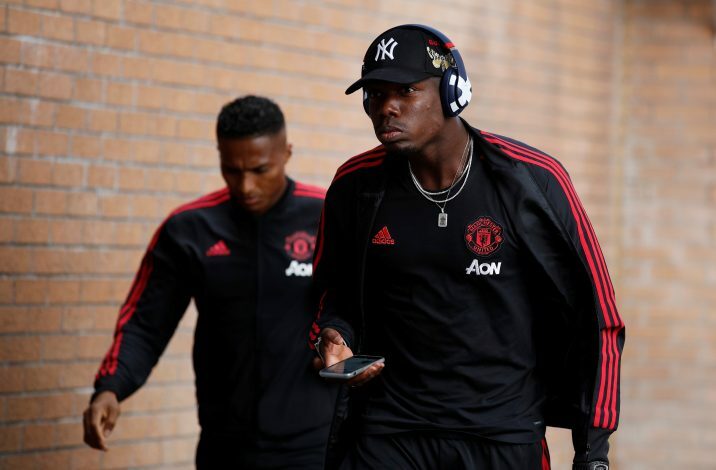 In that very meeting, the Manchester United officials made it clear that they will be holding onto the Frenchman, whilst adding that with Jose Mourinho gone and Ole Gunnar Solskjaer favouring Pogba, the player has no reason to depart from the club. In fact, the 20-time English champions are already working on getting their midfield maestro to extend his stay at Old Trafford, with his current contract expiring in the summer of 2021. If the World Cup winner insists on securing a move elsewhere nonetheless, the Mancunian giants will demand a sum that is significantly more than the £89 million they coughed him to re-sign him from Juventus back in 2016. The report further indicates that Real Madrid are willing to pay £130 million for Pogba, as Zidane believes the former Juventus starlet is as keen as ever to play at for the Santiago Bernabeu outfit. However, the aforementioned amount might still not be enough to convince the Reds to sell their prized asset, especially with Solskjaer intent on building his team around the academy graduate. Either way, Manchester United are set to talk with Raiola once again in a month’s time, and that meeting should provide a clearer picture as to which country the star midfielder plies his trade in next season.